Honorees at the International Scuba Divng Hall of Fame booth are (L-R) Paul Humann, Leslie Leaney, Bill High, Wyland, Nancy Easterbrook, Divetech owner Rosa Harris, Cayman Islands Director of Tourism; Bill Acker and Dan Orr. 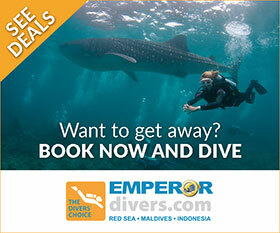 Dive Operators Introduce new travel packages and services. Local dive industry optimistic about 2016 with more flights and rooms added to Cayman market. As it does every year, the Cayman Islands had a good presence at the annual Dive Equipment & Marketing Association (DEMA) convention, this year held in Orlando, FL November 4 – 7, 2015. The recognized birthplace of recreational diving in the Caribbean is home to a progressive dive industry that prides itself in helping set the standard for the dive industry world-wide. The three islands, with crystal clear water, spectacular reefs and abundant marine life, feature some of best diving in the world − each island offering different experiences to divers of all skill levels. Cayman dive leaders aggressively work together to keep the Cayman dive product fresh, and their efforts pay off with numerous awards for Best Overall Dive Destination in the Caribbean and Atlantic. Scuba Diving legends gathered at the Cayman pavilion to greet the public at the International Scuba Diving Hall of Fame booth. DEMA is the place to introduce new products and book business for the new year, and the dive travel industry is set to scoop up deals and special offers from world-wide destinations. The Ocean Frontiers team, including co-owner Steve Broadbelt, promoting a new breakfast service at the Compass Point Dive Resort in their bacon and eggs outfits. Red Sail Sports introduced a new Kittiwake Wreck Anniversary Dive Package for 2016 that sparked a lot of interest and generated bookings on the spot. Ocean Frontiers introduced an impressive new booth showcasing the stunning marine life and scenery Grand Cayman’s East End. The company released a new 4K Ultra HD format video of marine life encounters in 2015 and offered a $500 airfare credit for groups that booked at the show. But the promotion that drew the biggest attention was the “Egg & Bacon” hour when Broadbelt and team donned costumes and handed out “Egg & Bacon” sugar cookies to announce a new breakfast service at the Compass Point Dive Resort. The Cayman Islands Department of Tourism (CIDOT) was also there during the four-day event to share special news and promotions, and release details of next year’s International Scuba Diving Hall of Fame inductees. The ISDHOF has been recognizing dive industry pioneers since its inception in Grand Cayman 2000 fifteen years ago. The Cayman Islands Pavilion, located in a prime spot near the main entrance and registration area, was the site for a number of events. Also on display at the pavilion were historical dive artifacts from the Cayman Islands. The Department of Tourism also marked the anniversaries of two famous Cayman dive sites and artificial reefs; the ex-USS Kittiwake in Grand Cayman and the MV Captain Keith Tibbetts in Cayman Brac. Kittiwake, a former submarine rescue ship will celebrate its fifth anniversary in January of 2016 and the MV Keith Captain Tibbetts, the only diveable Russian warship in the Western Hemisphere, will celebrate its 20th anniversary in September of 2016. DEMA serves as a good launching point for the 2016 tourism season, and all indications point to a good year for Cayman’s dive industry. Keith Sahm, General Manager of Sunset House says they booked good business for next year, though he faced a lot of questions about the cruise ship dock project that has been approved by the Cayman Islands Government. “Our customers love Cayman, but they are concerned about the project and its potential impact on George Town Harbour. It was an overriding factor in our DEMA experience this year,” he said. Rosa Harris, Director, Cayman Islands Department of Tourism (CIDOT) says they are optimistic for 2016 because the number of stay-over visitors to the Cayman Islands is up from last year. With increased airlift from key US cities and 226 additional rooms because of the reopening of a Cayman Brac resort and the addition of a new resort on Grand Cayman, Cayman is poised for growth. Leslie Leaney and DOT Director Rosa Harris introduced the 2016 Hall of Fame nominees at DEMA. Previous ArticleThe Galapagos: a once in a lifetime diving experience! Next Article Diving the Galapagos: all a diver could ask for!